Tired of reaching for the pill bottle if you have frequent or continuing headaches? 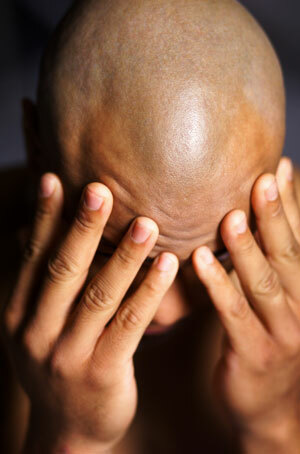 Headaches stem from a variety of issues, and massage techniques especially, trigger point therapy, can be an effective, beneficial and much healthier alternative for diminishing the pain. Dr. Janet Travell was the leading pioneer in trigger point therapy, and probably was best known as the White House physician during the Kennedy administration. Dr. Travell played a huge part in treating the debilitating muscle pain that threatened the President’s career. The main premise of trigger point therapy is that by massaging a given point in one area of muscles, pain can be alleviated in other parts of the body. The trigger point may be at the spot of pain, but often it will be located elsewhere with its own set of irritating sensations, and refer back to the painful area. That is why you can sometimes rub a painful spot with no relief. For example, you may feel pain in your head, but when a therapist applies pressure to a specific area of your shoulder the pain dissipates. So what does this mean for your constant headaches? There may be irritated muscles that don’t even hurt contributing to your pain. If those are found and worked knowledgeably by a trained therapist, you may find the pain in your head occurs less frequently or maybe disappears entirely. For sinus headaches, a therapist may work areas beside your nose, forehead and even the muscles of the jaw. For frontal headaches or side of the head pain, the culprits may be found in the shoulders, the back of the neck, or even muscles in the front the neck and/or the jaw (especially if you suffer from TMJ), Other common areas include the long muscles that extend from the neck down through the back. For trigger point therapy to have truly lasting results, more than one session may be required. Many trigger points respond best if addressed in short sessions several times a day. Your therapist can show you how to work on the areas on your own, so you can interrupt and perhaps alleviate the pain more readily. He or she can also help you become more aware of other factors such as poor posture and weak muscles that may influence how you are feeling. A good therapist will want to empower you to help heal yourself. Locating a good therapist with knowledge in trigger points is the first step in getting relief from constant headaches. Find out if massage therapy can help you, and call us if you have any questions. This article was posted in and tagged headaches, pain, stress. Bookmark the permalink. Follow comments with the RSS feed for this post. Both comments and trackbacks are closed.